ICA recognizes that a compassionate environment is essential in developing the learners’ self knowledge and esteem. Interdisciplinary activities that promote collaborative skills are factors of students’ success. The demand of the world today is viewed with a lot of optimism now than a decade ago when the world was filled with anxiety. This is more particularly felt in service institutions. The world is looking at and expecting institutions of change to cope with the consequences of the phenomena of globalization, technological advancement, climate change and the fast-paced networking of information. In such scenario, no school can remain docile and lethargic. Schools must be on guard and in line with the transforming society. Curriculum changes must go hand in hand with Information Technology and dramatic changes in the students’ disposition, demands and expectations. To be able to deliver, schools must update and arm themselves with the latest issues, trends and researches in teaching and learning. Recognizing these forces of change, ICA has re-appraised its system and has formulated its institutional plan to ensure a continuing process to address the needs of its students. Consequently, innovations have been instituted to allow effective changes to flow into the mainstream of the school community. The ICAns who are of Chinese ancestry but with a rich Filipino background are being prepared for what is foreseen as their global mission in the future, bridging experiences from the Philippines to other Asian countries particularly China. The pedagogical innovations being adopted by the school intends to facilitate learning that is directed towards life-long benefits. ICA as a college preparatory school looks beyond and channels students’ energy and potentials to make them become responsible and independent learners and eventually productive and zealous members of the world community where God’s love reigns. Significant emphasis is placed on the Math and Sciences; Communication Arts English, Chinese and Filipino; Technology and Livelihood Education. Equal importance is given to Makabayan subjects: Araling Panlipunan, Music, Health and Physical Education. Values Education, an important aspect of character formation is made possible through Christian Life Education and Homeroom Guidance Programs. Impelled by Jesus’ mission and inspired by Délia Tetréault, MIC Foundress’, spirit of thanksgiving expressed in her evangelizing mission, the Immaculate Conception Academy with a distinct Chinese Filipino character provides for a human and Christian formation through an integral curriculum to form young women leaders, witnessing to Christ and committed to compassionate service. This area is designed to teach children to understand written language, develop their reading skills and instill in them a lasting love for reading. Instruction is divided into four strands: decoding, vocabulary, life and study skills, and comprehension. Specific skills in each strand contribute to growth in overall reading comprehension. Reading skills are extended with enrichment, reinforcement and application activities in the other subject areas.Guided by the principles of Literature-Based Instruction, teachers use quality pieces of literature like short stories, poems, playlets, essays, biographies, and novels to develop pupils’ critical and analytical thinking skills. Such literary pieces are also used as springboards to inculcate in the pupils the school’s core values and the issues of Transformative Education namely: Gender Sensitivity, Justice and Peace, Political Education and Environment Education. Supplementing the course offering is the SRA Reading Laboratory, which offers a multi-level, individualized, development program of reading skills. Speech lessons are conducted every week from Grades One to Four, to provide the pupils with more facility and confidence in the use of the English Language. 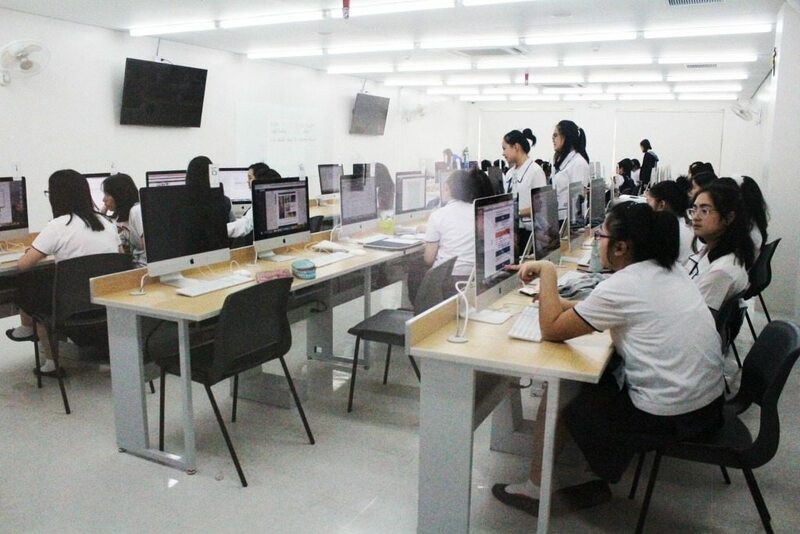 The Learning Center for English, which is also part of the area, aims to encourage learners to maximize their potentials by providing activities that further enhance their multiple intelligences (verbal-linguistic, logical/mathematical, visual/spatial, musical/rhythmic, bodily/kinesthetic, naturalistic/interpersonal and intrapersonal). Media Education is an important facet of this area. Various forms of print and non-print media are critically used and analyzed to train the children to become discriminating users of media. Knowing mathematics means being able to use it in purposeful ways. To learn mathematics, students must be engaged in exploring, conjecturing, and thinking rather only in rote learning of rules and procedures. Mathematics learning is not a spectator sport. When students construct personal knowledge derived from meaningful experience, they are much more likely to retain and use what they have learned. This fact underlies teacher’s new role in providing experiences that help students make sense of mathematics, to view and use it as a tool for reasoning and problem solving. [Adapted from the Curriculum and Evaluation for School Mathematics and Executive Summary of National Council of Teachers of Mathematics. Mathematics in the grade school of Immaculate Conception Academy, Greenhills includes the study of whole numbers, integers, fractions, decimals, percent, ratio and proportion, geometry, measurements, and simple statistics. The grade seven lessons include rational and irrational numbers and the other basic concepts and language of algebra. The lessons on the four basic operations comprise the study of concepts, mental math strategies, estimation, and exact computations. These are reinforced and enriched with problem solving. The different problem solving skills and strategies are directly taught in the classroom and the focus is not only on the final answer but also on the process or solution used to get it. Various activities have been considered to motivate students to experience the enjoyment and fascination of mathematics as they gain mathematical power. Students are encouraged not only to solve but also to make or create their own problems. The use of a calculator is adapted primarily for exploratory activities, business mathematics, and for time economy in solving lengthy computations in the higher level. Values integrated in Math by way of emphasis on truth and its related values: accuracy, objectivity, honesty, justice, perseverance, orderliness, and the different thinking skills such as critical, analytical, logical, and reflective thinking. Flexibility and creativity are also inculcated in the different activities employed in the daily teaching-learning process. The Civics and Culture Area deals with the study of the relationship of man to society and government as well as his roles, duties, responsibilities, rights and privileges as a citizen of his country and of the world. It is about understanding and appreciating one’s culture and history as foundation of good citizenship. It aims to stress the development of the humane and nationalistic qualities of the Filipinos, the development of moral and spiritual values and pride in the Filipino-Chinese heritage. It strives to inculcate in the young minds of the grade school pupils’ genuine love of neighbors, love of country, care and concern for the environment. In Grades One and Two, music and arts are specifically integrated in the curriculum. Creative self-expression through these areas is highly encouraged for a holistic development of the pupils. In Grade Three, the contents of the curriculum are expanded and enriched to include the learning areas as related to history, geography and work ethics that develop an awareness of the world of work in the home and in the community. In Grade Four, the teaching of geography will enlighten the minds of the pupils on the characteristics of or features of the world. It entails discussion on the location, physical feature, climate, population and other factors in our physical and cultural environment. A thorough knowledge and genuine appreciation of one’s culture, history and civilization will lead the students toward greater global awareness, unity, harmony and pride. In Grade Five, the lessons on lives and deeds of great Filipinos, historical events in the country and significant changes in the Philippine communities are part and parcel of history in this learning area. It is expected that through these lessons, the youth will learn to value the Filipino race to which they belong. It is expected that the youth will see the value of every fight for freedom, honors and progress of the country staged by many Filipino leaders. The study of our history will help them understand the present status of our society and will help them in making plans for a brighter and richer future. In the study of the Grade Six level curriculum, the pupils will be familiar with the beginnings of the Filipino race – the different ethnic groups, dialects, customs and traditions and their ways of living. It also includes lessons aimed towards the pupils’ understanding of the importance of the government and its role in looking after the welfare of the people, the country and in the family of nations. All these are discussed within the context of the 1987 Philippine Constitution. In Grade Seven, the community is the focus of the curriculum. In today’s global community, changes and emerging patterns affect people, politics and economy, history and culture. The curriculum is an introduction to world studies. The lessons expose the pupils into the complexities that the Philippines’ is facing in the 21st century. The Philippine Community, in its encounter with history and its struggle to survive and adhere to the democratic principle it stands for, has gone a long way from the pre – barangay era up to the information age. The women ‘s place in society, their rights and privileges, equal opportunity for employment and livelihood are given emphasis in this course as well as environmental consciousness leading to becoming a more concerned studentry. Since JUSTICE, PEACE and POLITICAL EDUCATION are integral in all lessons, the course sets the foundation of Nationalism and Patronage to anything Filipino and sustain the respect for universal values – PEACE, LOVE, JUSTICE and TRUTH. To transform a society based on democratic principles and respect for thee constitution, the curriculum will pave the way for students to be agents of change and instruments to bring peace, harmony and progress in our society. 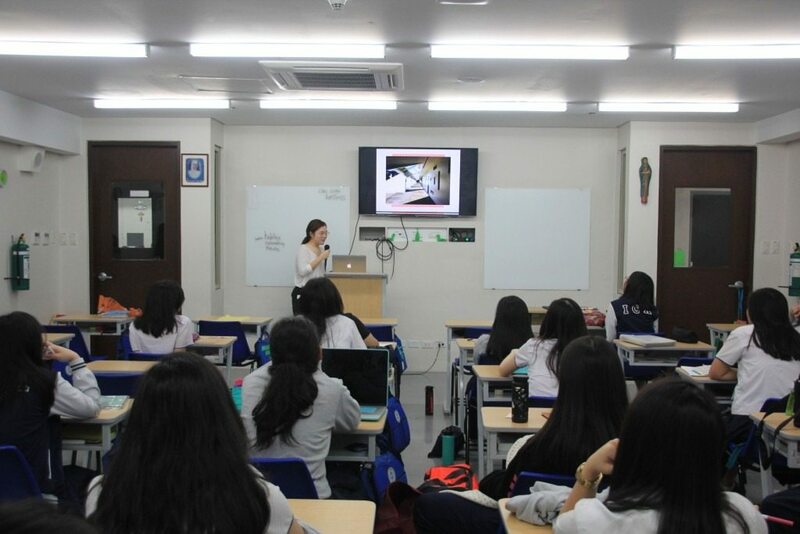 ICA’s educational program aims to inculcate a sound and balanced nationalism in its pupils and develop in them the qualities of a committed citizen–appreciative of her Filipino cultural heritage, loyal to the Filipino nation and actively involved in the building of a truly Christian Philippine society. Owing to the distinctive origin of its pupils, ICA aims to foster in them an appreciation of their unique identity by developing in them a greater awareness and love for their Chinese cultural traditions and by helping them blends these with Filipino traditions. The Music Education Program of the grade school aims to develop the aesthetical potential, with which every child is endowed, to the highest possible level. The development of a sense of beauty and of positive response to it, in music, is the specific obligation of music education. The instructional program of music education is both musical and educative. Hence, it is consistent with the nature, structure and meaning of the subject matter to which it relates. The content is, therefore, organized conceptually, i.e. stated in terms of concepts to be developed. The general Musical elements and concepts covered are as follows: rhythm, meter, melody, tempo, dynamics, harmony, form and timbre. These are covered in every grade level from Grades 1 – 7, differing in degree of complexity according to the various stages of development. However, music in Grade 2 is integrated with CLE classes due to First Holy Communion. Learning activities include singing, moving, listening, reading, writing, analyzing, creating and playing of instruments. The playing of the soprano recorder has been integrated into the programs from Grades 4 – 7 as an application of the musical concepts. Also Philippine Ethnic Instruments are taught from Grades 5 – 7. The Arts program in the various levels enables students to express their feelings, ideas and imagination through creative activities and projects. These learning experiences are integrated to develop among the student’s awareness of and appreciation of their cultural heritage and contemporary art. Art is integrated in nature. It does not merely deal with the acquisition of skills but also with the appreciation of the creative process. From Grades Three to Seven, art lessons provide for the acquisition of knowledge and skills through experience with lines, colors, freehand drawing, painting, printing and paper construction and folding. These are taken up in gradated levels of difficulty and complexity. With the integration of the Transformative Education issues, pupils make use of art as venue in promoting positive values and attitudes, and specifically that of gratitude for their giftedness. In Physical Education the curricular offering is divided into two groups, that of the primary and the intermediate. The primary which comprises Grades One to Three, includes basic locomotor and non-locomotor movements, concepts of space and movement quality, primary ball skills, posture and hygiene, fitness and basic dance skills. In the intermediate, which includes Grades Four to Seven, focuses on sports, on gymnastic and rhythmic movements, on safety and first aid and on specific sports skills in kickball, badminton, table tennis and volleyball. The Transformative Education issues of gender sensitivity, justice and peace, political education and environmental education, has been integrated and therefore exposes the students to provisions for the development and enhancement of values such a sportsmanship, teamwork, cooperation, camaraderie, honesty, fairness, etc. They likewise learn to value health and appreciate what they are and have. The curriculum content and its application is based on ICA’s goals of developing students to become true Christians, academically competent, committed and responsible citizens and culture refined young ladies. Work Education / Home Economics / Computer Technology. This area focuses on the development of responsible and worthy home membership that helps in the strengthening of the family. The activities emphasize desirable work attitudes, basic work skills and habits, the production of useful articles and other skills that would enable them to help their parents and sibling. Basic hand sewing starts in Grade Four wherein students learn how to use the different hand-sewing tools make simple embroidery stitches and produce useful projects. Feminine hygiene is an important topic offered in this level in preparation for their development as young adolescents. The course in Grade Five includes good grooming, food and nutrition, clothing, embroidery, handicraft projects. Lessons in Grade Six deal on the role of each family member, particularly that of the woman, in the management of the home. It consists of basic household chores, home beautification, etiquette, food and nutrition, embroidery, and practical projects like the kitchen attire. Basic machine sewing is introduced in Grade Seven where students learn the parts of the sewing machine and their functions. Projects include the multi-purpose bag using materials that suit their personality. Another important feature of the level is the Cheer Dance T-shirt which the students themselves design in their Art class, accomplish in their Home Economics class and wear in their Cheer Dance presentation. Home Economics truly provides for the development of refined and cultured young ladies, future women of the home and business entrepreneurs. The Chinese Language Arts and Communication program aims to hone the pupils’ communication skills in Mandarin and enhance thei rknowledge and appreciation of their cultural heritage. Pupils are engaged in discussions on Chinese history, literature, geography, and customs and traditions. They also engage in various activities such as oral reading, essay writing, singing Chinese songs, practicing basic conversation in Chinese, and learning the art and discipline of Chinese calligraphy. Moreover, traditional Chinese virtues/values that form much of this unique and rich culture are integrated in the daily lessons. The Christian Life Education (CLE) refers to the education in faith through interdisciplinary, deliberate, systematic and sustained activities. Religious instructions are designed to assist students in going through the process of learning and living their faith life. CLE aims to lead the students to a more mature Christian view of human life and progress, grounded on a spirit of prayer and an ideal of service in keeping with the social principles of the Gospel. • The CREED or DOCTRINE expressed in Christian beliefs, convictions and truths in the Catholic Church. • The behavioral dimension or MORAL expressed in Christian conduct and living out of one’s convictions, witnessing and commitment. • The spiritual dimension or WORSHIP expressed in concrete signs of what one believes and does. These are manifested in prayer, the celebration of the liturgy, sacraments and other symbolic expressions to show and deepen the Christian traditions, beliefs and values. The CLE program implements course offerings which are relevant, realistic and responsive to the needs of the students and the nation. The area is designed with a firm commitment to the school’s vision of forming young grateful Chinese – Filipino women of faith with a mission for others and in consonance with the school’s thrust of Transformative Education. It provides for the acquisition of communicative competence at a level commensurate with the pupils’ stages of development and maturity. The area aims to translate into reality the belief that the young pupils should be involved in an integrated program of thinking, listening, reading and writing, which will nourish their ability to communicate in English effectively and creatively. The area also provides the pupils with personal values and worthwhile activities that are geared towards community involvement and a more conscious awareness of the present society. Moreover, a discriminating and intelligent use of media is acquired or learned in this area. A clear knowledge of the clientele which the school intends to serve and of the community in which it exists was taken into consideration in designing this area. Grade School Science aims to inculcate in the learners the spirit of scientific inquiry. Child – centered activities and experiences are provided by the teachers who act as the facilitators of learning and leaders of scientific inquiry. The Science Area believes that by equipping the learners with the needed understanding and applications, skills and values, they will be able to face the challenges of everyday life, take active participation in the preservation of the environment and share their talents to contribute to the welfare of the community and the society where they belong. Ang Filipino, bilang asignatura sa Mababang Paaralan ay magkasamang itinuturo ang mga aralin sa Pagbasa at Wika. Nakatuon ang pagtuturo sa paglinang ng apat na makrong kasanayan sa pakikinig, pagbasa, pagsasalita at pagsulat sa layuning maging buo ang pag-aaral ng wikang Filipino. Ang mga akda at teksto sa binabasa ay naaayon sa konsepto sa kasalukuyang panahon ng pag-aaral tulad ng mga paksang Pangkapaligiran, Pagpapahalagang Pantao, Pangkapayapaan at mga isyung Pampulitika. Mula sa mga paksang ito, ang simulain, layunin at misyon ng paaralan ay iniuugnay at hinuhubog ang pagiging tunay na Kristiyano, may kakayahang mag-aaral, may pagpapahalaga sa sariling kasarian at responsible bilang isang mamamayan. Ang mga araling ito ang magiging lunsaran upang sanayin na palawakin ang kasanayan sa pag-unawa o komprehensyon at pagpapalawak ng talasalitaan. Ang mga konsepto sa gramatika o wika at paggamit nito ay itinuturo sa mga mag-aaral mula una hanggang ika-pitong baitang. Gumagamit ng iba’t ibang pamamaraan at sitwasyon sa pagtuturo nito upang mailapat sa pangaraw-araw nilang pakikisalamuha at pakikipag-ugnayan sa kapwa tao. The Guidance Program aims to assist the school in its educational commitment of providing students with varied learning opportunities to further enhance their potentials and capabilities. Subsequently, use these for the service of their fellowmen especially the marginalized members of the society. 8. provide the students, the academic staff and the parents with meaningful data that may help enrich the school program. The Computer subject is given to students to equip them with the computer knowledge and skills needed to help them become competent individuals in the use of Information Technology. The subject delivers understanding of computer concepts and challenging activities that will foster greater productivity amongst students. It offers various ways on how computer and different applications can be used to help in everyday life. It is a discipline that produces output wherein resourcefulness and creativity is nurtured and developed in students. Hands-on activities are prepared for students wherein daily-life challenges are incorporated so with different lessons from the academic areas and those that will promote the core values of the school. 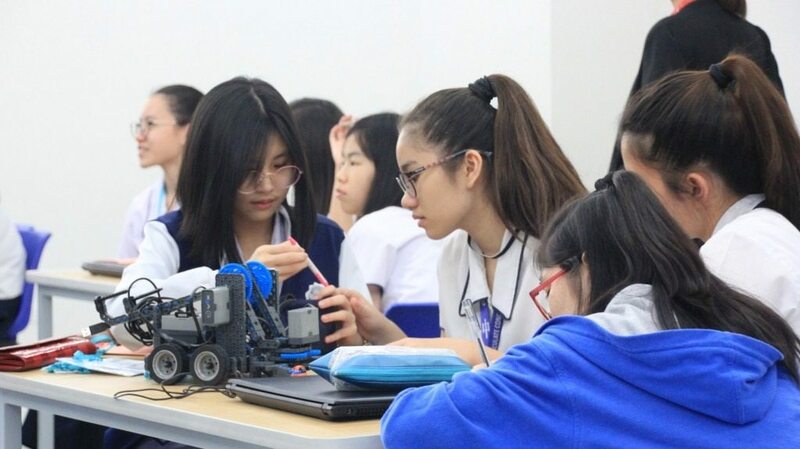 Aware of the pupils’ desire and need to pursue their interest further and to develop their talents more fully, the grade school department provides such enrichment to take place through varied activities. This constitute an integrated whole with the school’s course of study that help meet the religious, social, emotional, leisure, and recreational interest and needs of the pupils. The activity program is designed to provide supplementary educational activities and opportunities for self-directed specialization in the different subject areas of particular interest to the individual pupils. The objectives as well as the activities peculiar to each club, reflect the basic thrust, goals and philosophy of ICA education. Thus, club activities, in general are geared towards the total development of the ICAn as a person aware and appreciative of her potentials and willing to assume the responsibility for developing this to the fullest in the service of others. 1. Serve as practicum for the theories learned in the different subject areas. 2. Provide varied opportunities where talents and potentialities of pupils will be tapped and developed. 3. Foster positive attitudes and values in the pupils. 4. Instill in the pupils the responsibility of sharing their gifts or talents in the service of others. 5. Promote patriotism and civics consciousness and enhance the integration of Filipino-Chinese cultures and values. 6. Develop social consciousness and responsibility for the poor and the suffering in the community. 1. Co-curricular activities constitute an integrated whole with the curriculum. Thus, the activities organized by each club should flow from the instructional programs and as such become a practicum for the subject areas concern. Subject Area Coordinators approved the planned Activity Design of the club moderators under their jurisdiction. 2. Class hours and academic requirements are not eased out in favor of club activities. Co-curricular activities are meant to supplement, not to substitute for the instructional program, hence regular class sessions may not be used for such activities except in certain cases. 3. Membership in one club is a requirement. Application undergo an evaluative process for membership in a particular club. 4. Class officers are not eligible for the position of club officers. 5. Final membership is on a yearly basis. Pupils can only change final membership after a year. 6. Whenever the school requires a pupil to be in school after class hours or on non-class days parents are given notice signed officially by the duly authorized personnel.